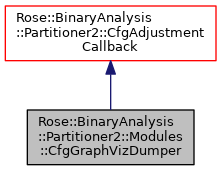 Produce a GraphViz file for the CFG at a certain time. See docString for full documentation. Definition at line 262 of file Modules.h. Called when basic block is attached or placeholder inserted. Called when basic block is detached or placeholder erased. Definition at line 284 of file Modules.h.